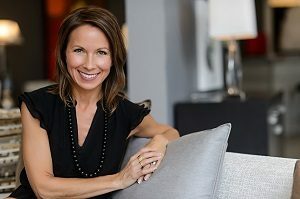 I’m so pleased to introduce you to Melanie Kasper, the founder of societywellness.com. Melanie shares her research and experience on her website to help support people who want to live healthier and energetic lives. And while she enjoys cutting-edge research, she’s careful not to make exaggerated claims, which we really appreciate! You’ll enjoy her advice in her recent interview on our blog on how essential oils can be incorporated into a healthy, holistic lifestyle. Customer Experience – We welcome your questions. Our experienced staff of Clinical Aromatherapists and healthcare professionals are here and happy to support you. We take the time to listen, answer your questions and suggest aromatherapy solutions tailored to your practice, facility, or personal use. Education – We offer blogs, consultations and educational material to help you learn about effective safe and appropriate use of essential oils. 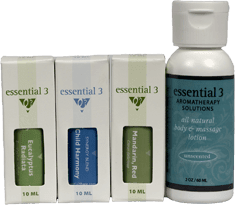 Aromatherapy Solutions – Essential oil singles, distinctive customized essential oil blends, natural creams, carrier oils and lotions; all at affordable prices. We offer Certificate of Analysis, with Gas Chromatography/Mass Spectrometry (GC/MS) documentation. At e3, every member of our staff is passionate about aromatherapy. We don’t promise to have all the answers, but we do promise to use all of our resources to help you make well-informed choices on the safe use of essential oils for your unique circumstances. You might find the answer you’re looking for on this website under Education or on our Blog. Or you can simply Contact Us and we’ll get the right person in touch with you for a free consultation. We look forward to hearing from you!